When visitors walk into the Social Club Grooming Company on the campus of Wayne State University, it’s the décor — a smart blend of modern and rustic — that greets them first. Against the walls, wooden bookshelves rise up from hardwood floors. The tendrils of several houseplants snake from pots on the shelves. Fluorescent light pours from decorative ceiling fixtures. 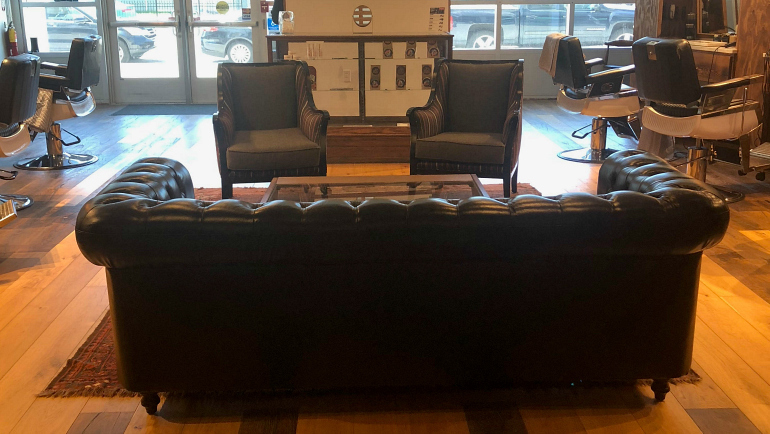 Meanwhile, at the nucleus of it all, a leather couch lends the space the feel of an upscale lounge. The vibe is fitting given that the Social Club, located on a fast-changing stretch of Anthony Wayne Drive, has always aspired to be much more than just another barbershop. When former Wayne State student Sebastian Jackson opened the shop in 2012 with his wife Gabrielle, the couple immediately recognized its potential to be not just a salon but a safe haven — and even a slice of home for some. In fact, Jackson says, it was a space that was a long time coming. The success of the Social Club is evident in the clientele it has garnered in the six years since its opening. The barbershop has a database of about 10,000 people and does about 1,500 haircuts a month. Students make up about 15 percent of the monthly haircuts, and the rest are generally young business professionals and Wayne State faculty, including WSU President M. Roy Wilson. The Social Club has also attracted notable athletes and celebrities. Former Detroit Lions running back and Wayne State alumnus Joique Bell, Detroit Lions running back Ameer Abdullah, and Grammy-nominated R&B musician Dwele all have received haircuts at the Social Club. Before Jackson opened the Social Club in the small commercial strip on Anthony Wayne Drive, the space was occupied by another shop, known as Salon X, where Jackson worked as manager and barber. For Jackson, who got his start cutting hair in WSU dorm rooms, Salon X was where his entrepreneurial dreams began to harden into a real plan. When Salon X closed, Jackson saw his opportunity. He submitted two early business proposals for a shop but both fizzled. Refusing to quit, Jackson submitted a third proposal and finally won approval to open the Social Club. He began to implement his vision almost immediately, starting with its name. That said, not everything Jackson does is steeped in tradition. For example, while most vintage barbershops boast minimalist décor and encourage walk-in customers to show up without an appointment, the Social Club books clients by reservation. 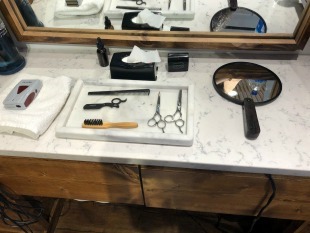 But Jackson has worked hard to integrate an old-school feel into shop as well, heavily emphasizing the traditional role of barbershop as a sort of public square and sounding board for African American voices. One way that Jackson preserves, and even expands on, that tradition is through a discussion series the business sponsors known as Shop Talk. Jackson uses the monthly Shop Talk dialogue to create engaging conversations around a range of topics. Since 2013, Shop Talk has hosted chats by local and global leaders, sparking substantive conversation while still doling out haircuts. As many of 100 people have crowded into the shop for exchanges with invited influencers. These days, Jackson even takes Shop Talk discussions on the road. “We started with Shop Talk here, but two years ago we partnered with Shinola to take the discussion around the country in their stores,” said Jackson. In addition, Jackson has been invited to universities such as Harvard and Stanford to speak about being an entrepreneurial trailblazer. Among his chief topics is the idea of using shops to create real career paths for barbers rather than promoting the trade as just a viable side gig. 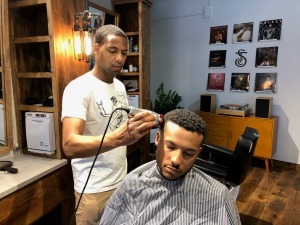 In doing so, Jackson is also increasing the labor pool for barbershops, an issue he’s particularly interested in because he’s found it difficult to hire top-quality barbers. Despite what he sees as a dearth of talent, Jackson boasts that he has nonetheless assembled a crack staff at the Social Club. Currently, the shop employs a culturally diverse staff of 10 barbers, both men and women. But Jackson isn’t satisfied. The Social Club aims to grow, he says. Jackson is currently preparing to open the Social Club’s second location, at the Siren Hotel in downtown Detroit. Jackson also hopes to open a third location in Detroit before taking the Social Club national.